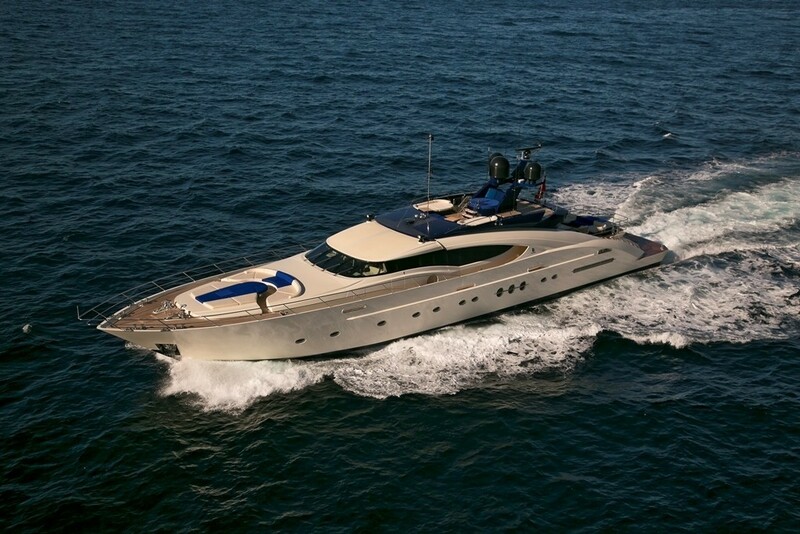 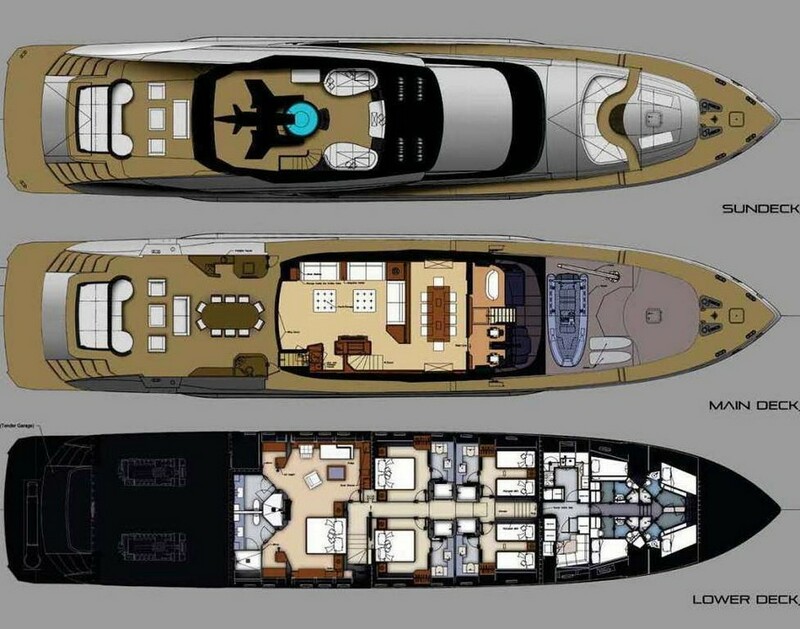 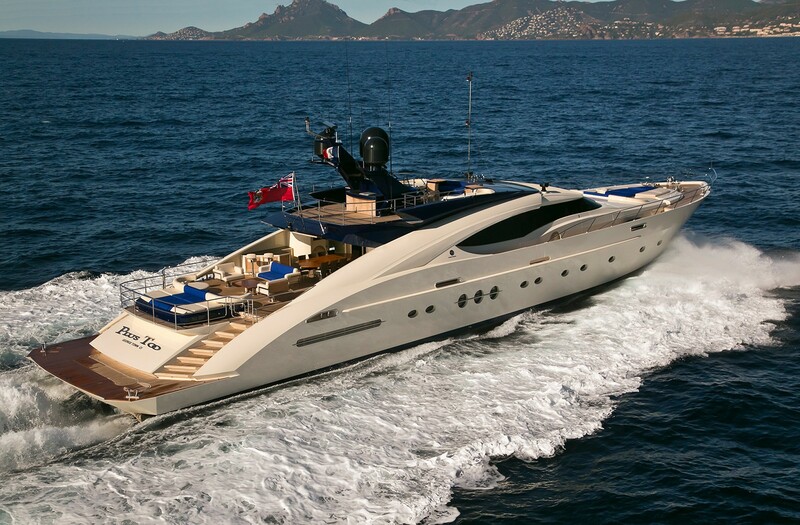 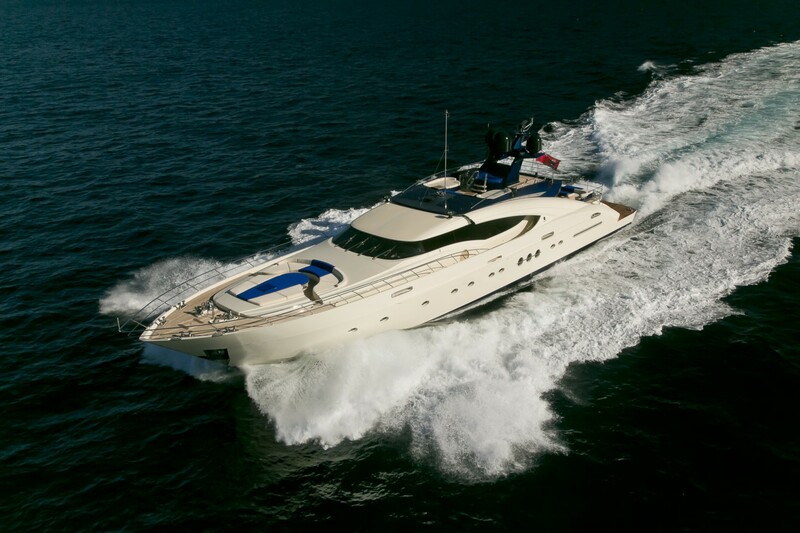 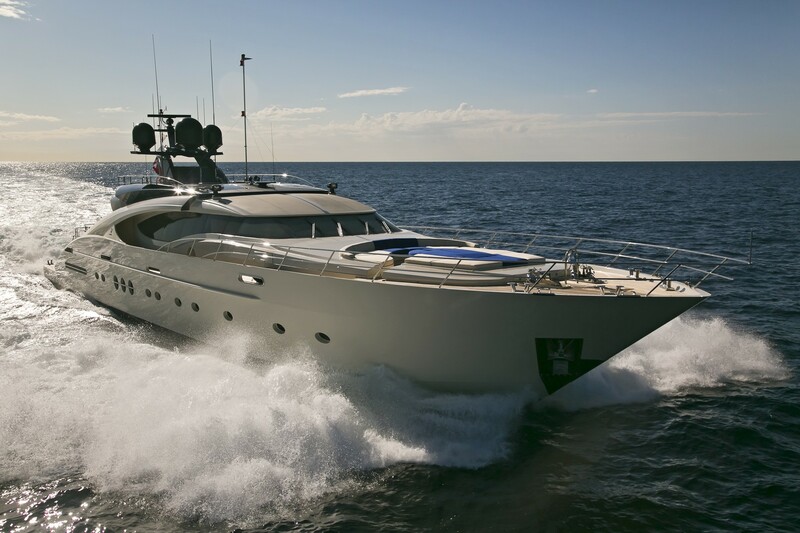 Luxury yacht PLUS TOO was designed by well renowned Italian Nuvolari & Lenard and built by Palmer & Johnson in 2008. 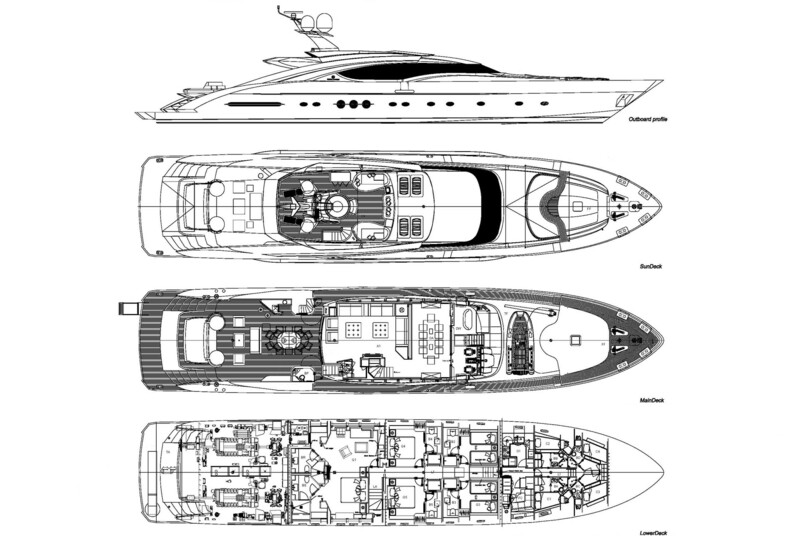 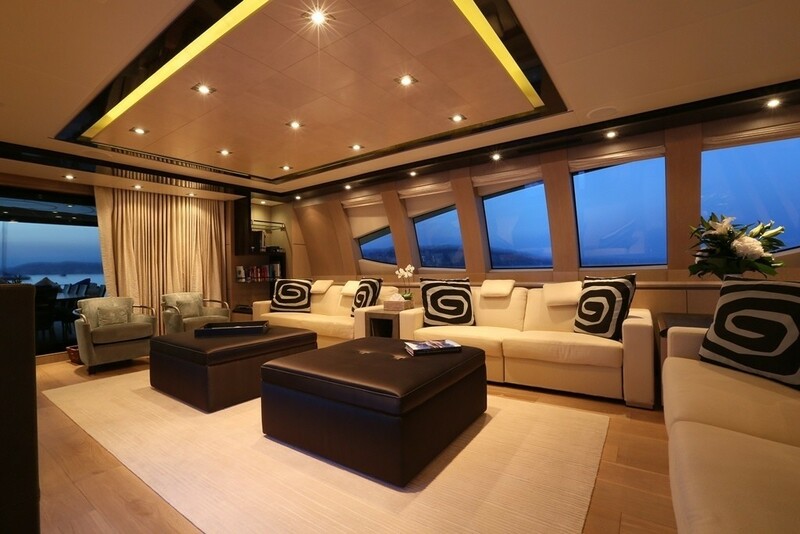 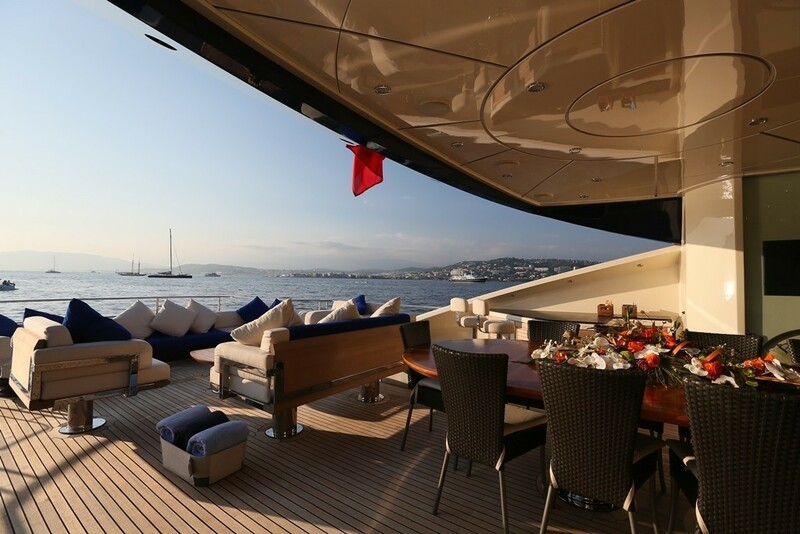 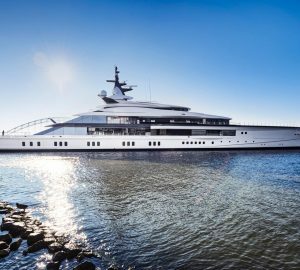 Measuring 41,45m (136ft), she boasts sleek lines and an aluminum planing hull. 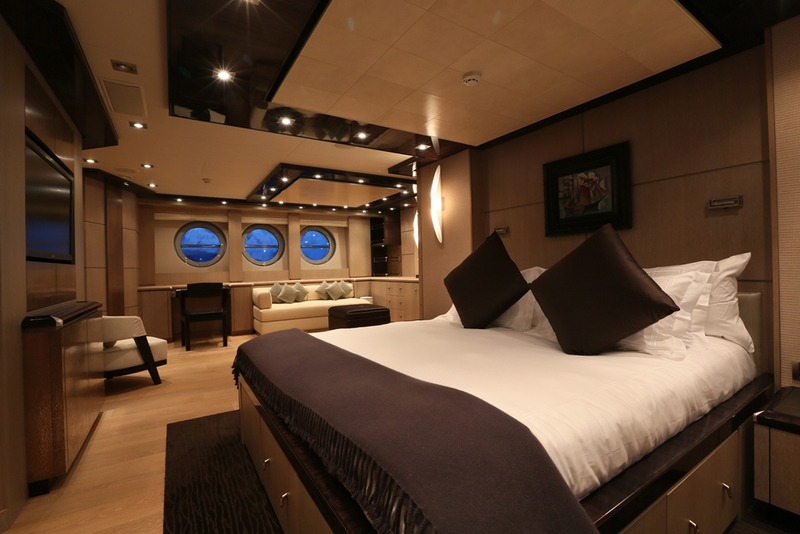 She can accommodate up to 10/12 charter guests in 5 cabins. 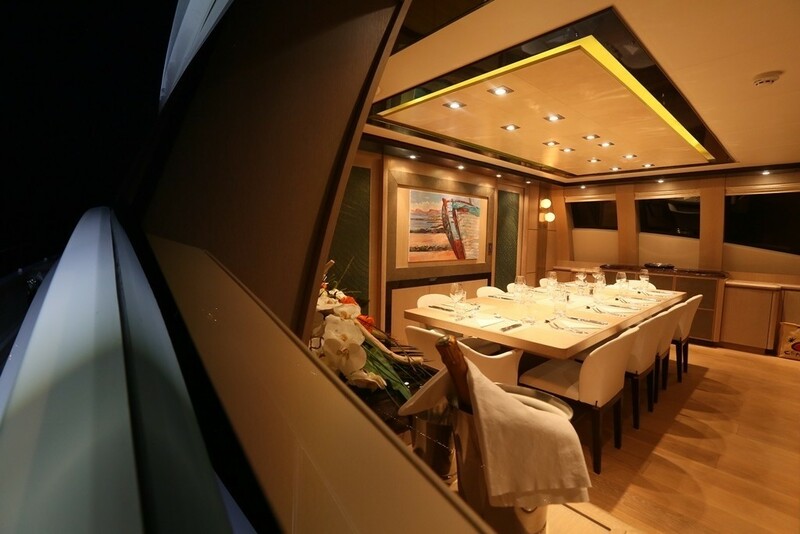 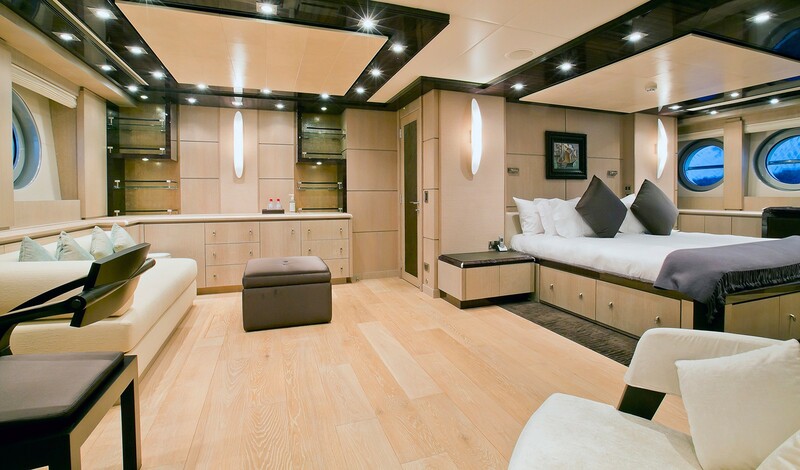 Motor Yacht PLUS TOO features a modern interior with a fresh and stylish vibe. 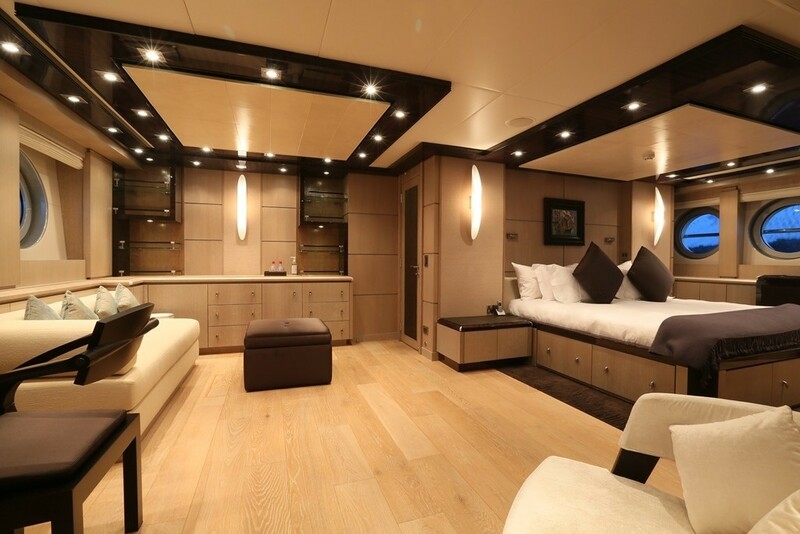 The salon is light and airy, giving the impression that everything is in its place, from the well-appointed leather furnishings to the ease of contrast between light and dark woods, making the space incredibly generous while still feeling very relaxed. 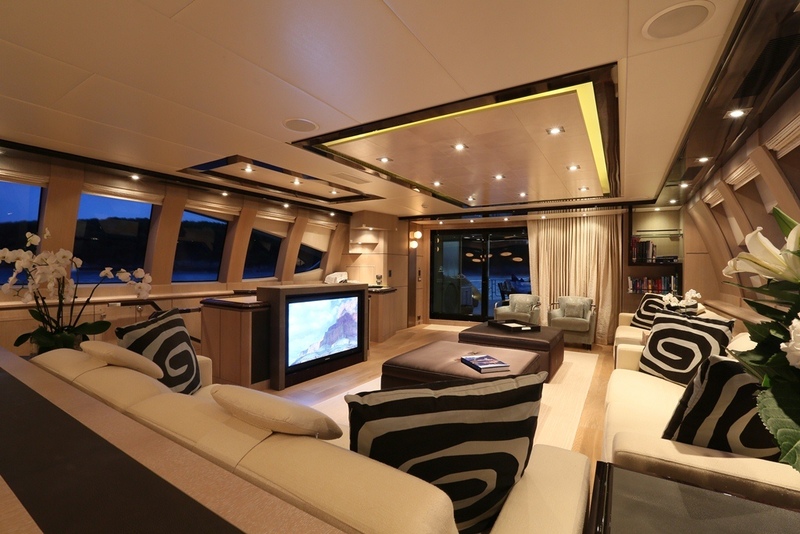 A large flat screen TV boasts satellite entertainment, guests wishing to stay in touch can do so with the latest hi-speed internet available throughout the yacht. 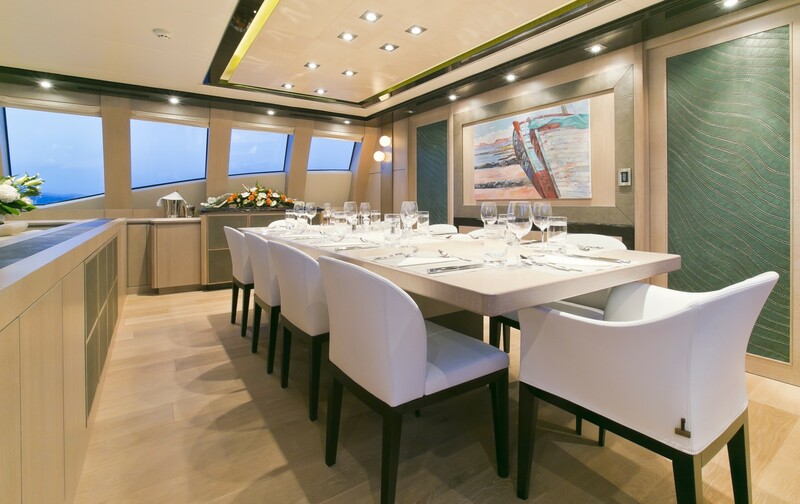 Forward of the lounge a formal dining table seats ten guests comfortably. 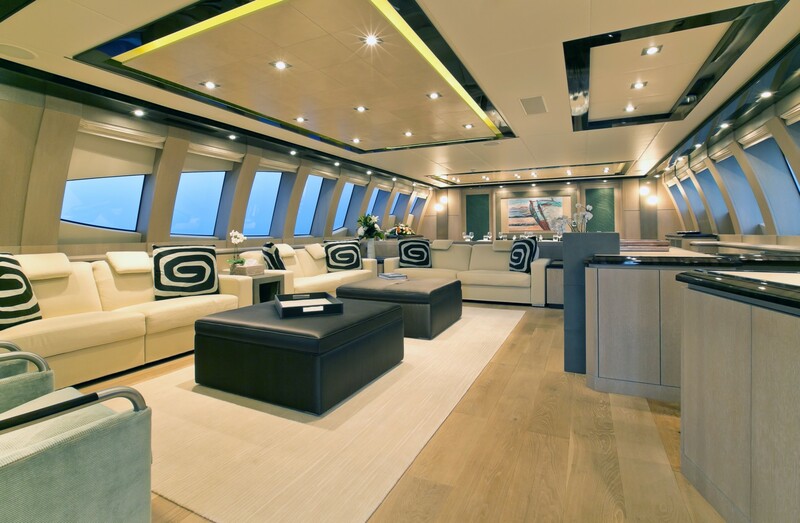 She offers plenty of exterior living areas. 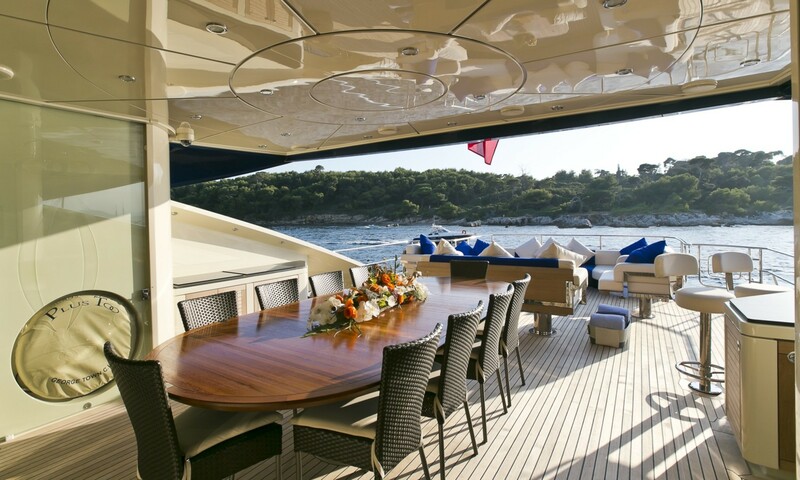 The aft deck boasts an alfresco dining option, cocktail/lounge seating, and a massive sun pad. Gradual broad steps on port and starboard lead to the extended swim platform. 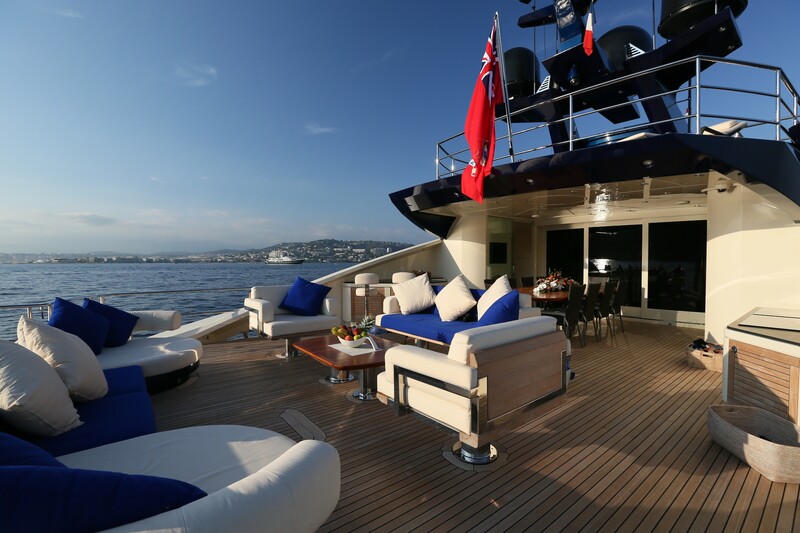 Above the main deck, the sundeck has two large sun pads and a deluxe Spa Pool tub. 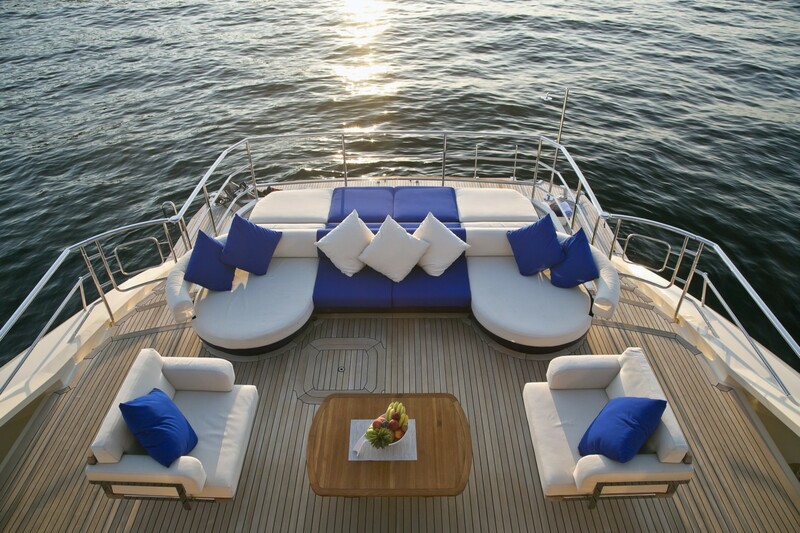 Further seating and a huge sun pad are available on the foredeck. 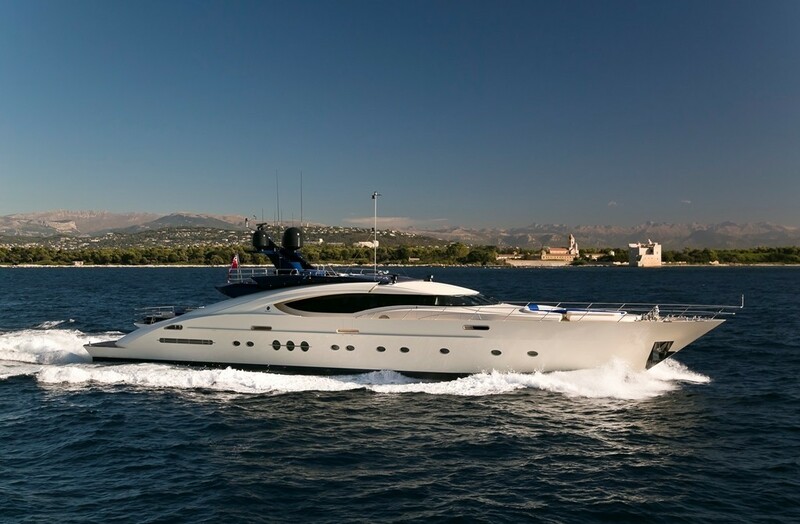 Superyacht PLUS TOO has a beam of 8.4m (27.6ft) and a draft of just 1.8m (5.9ft), she is powered by 2 MTU 3650HP engines capable of cruising effortlessly at 24 knots and reaching top speeds of 33 knots. 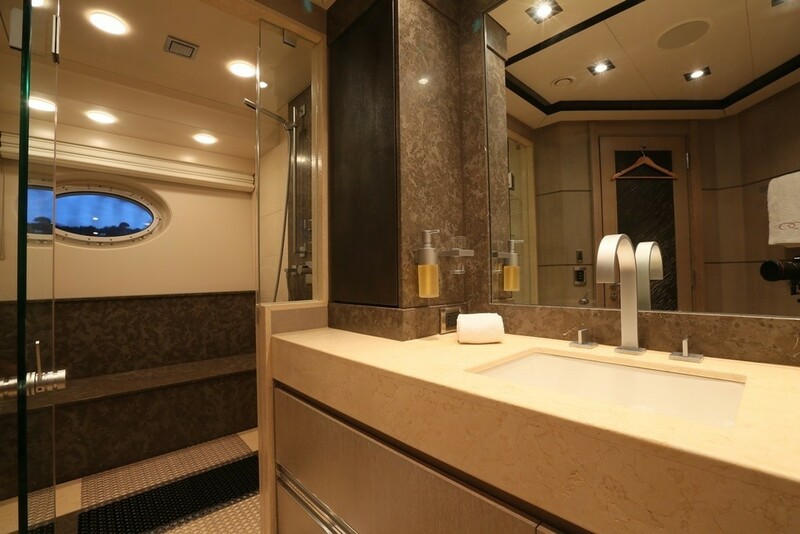 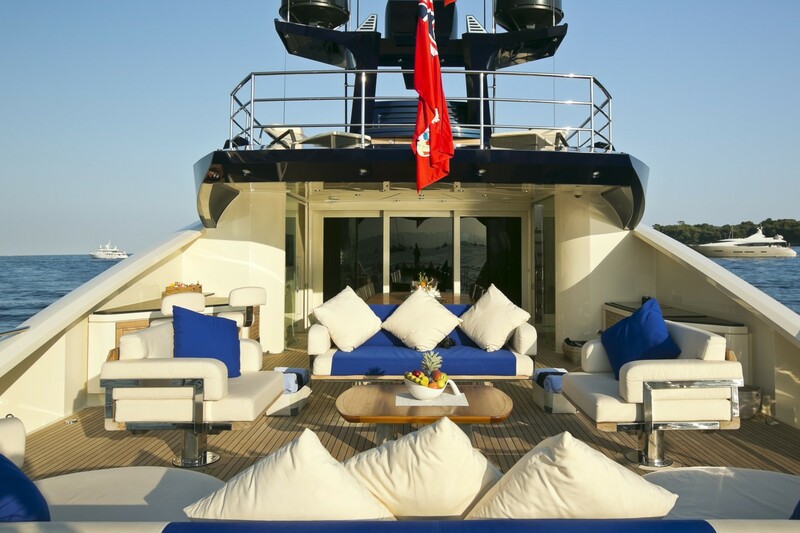 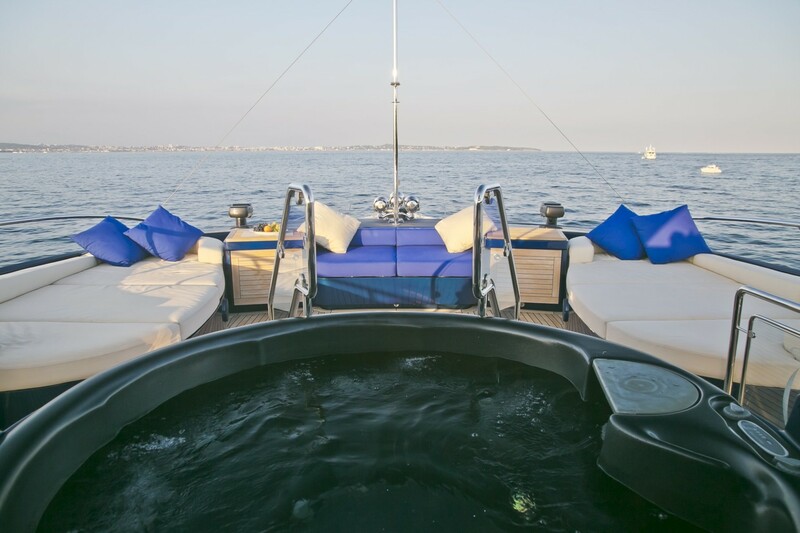 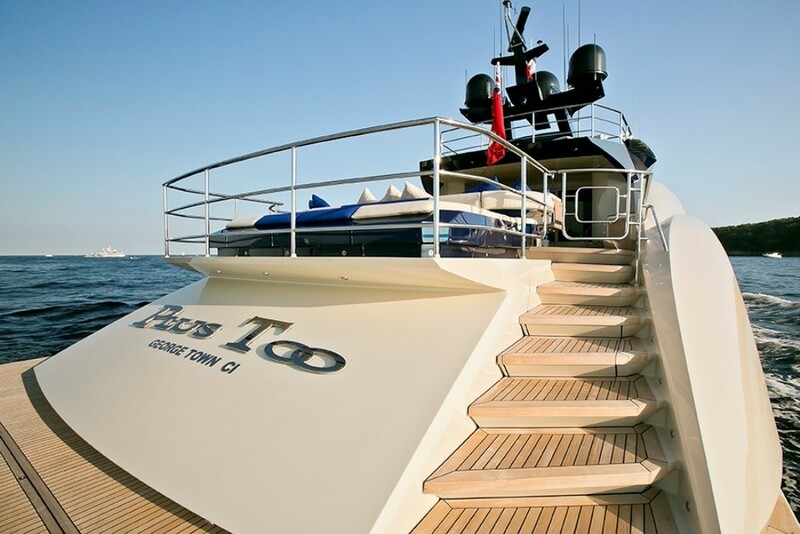 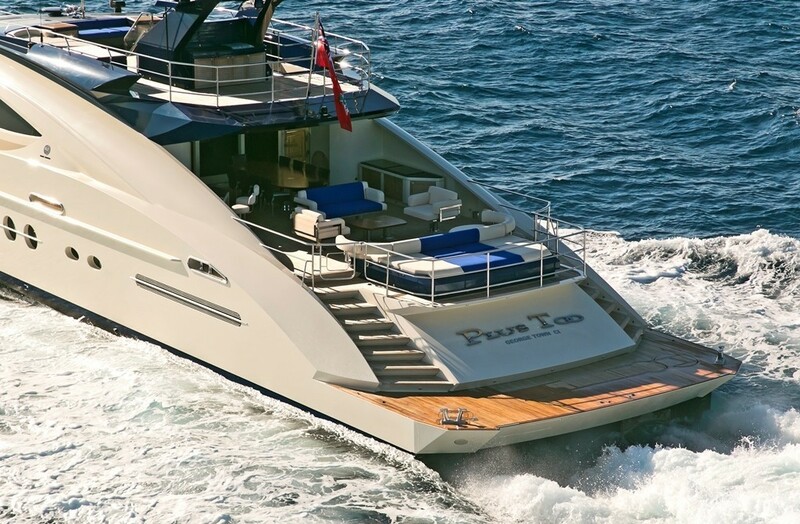 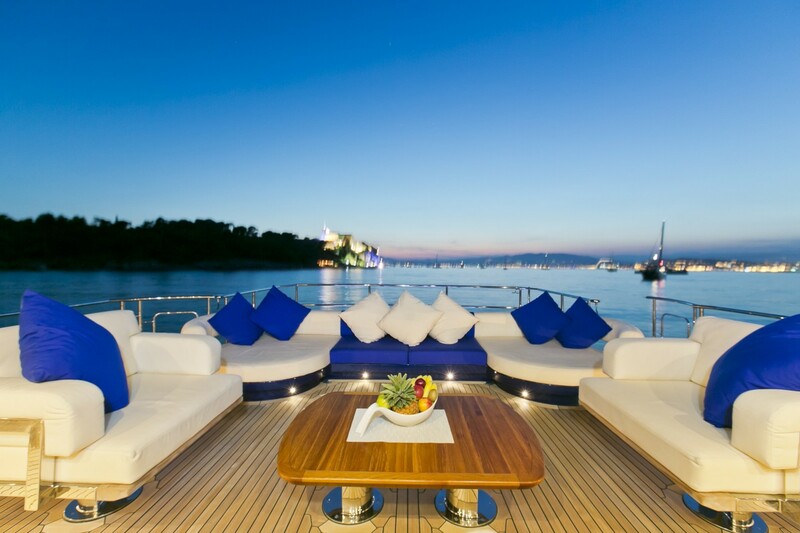 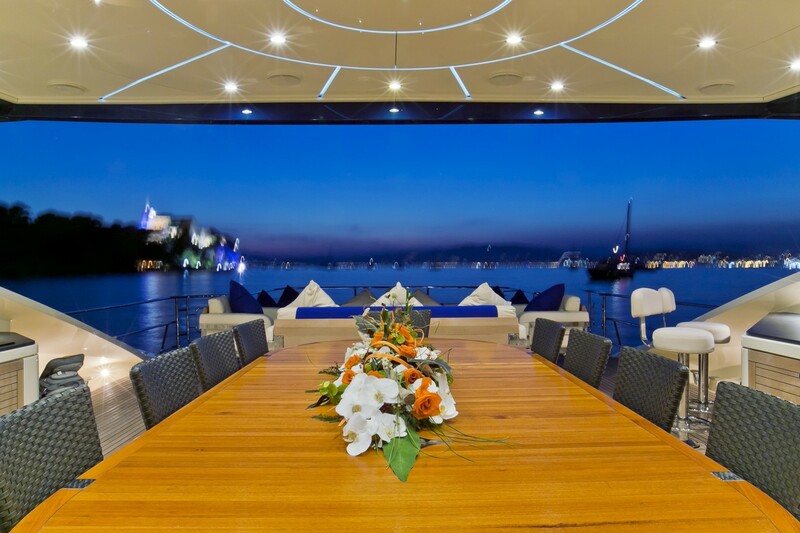 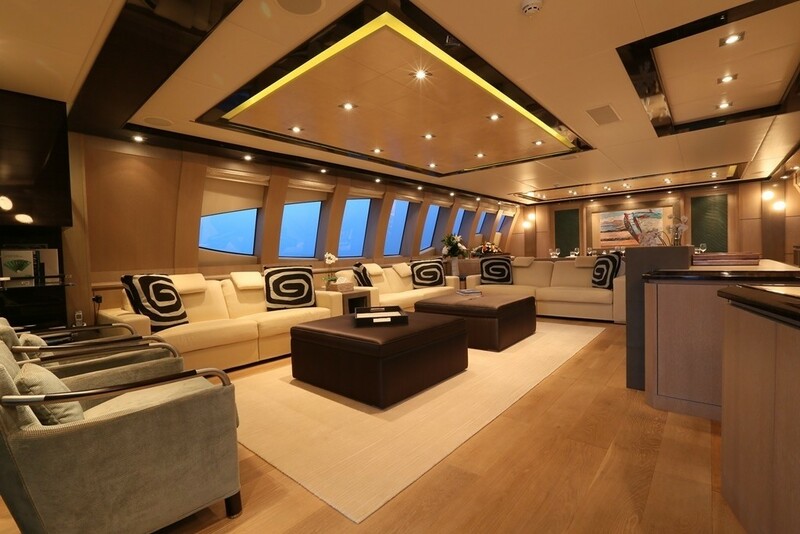 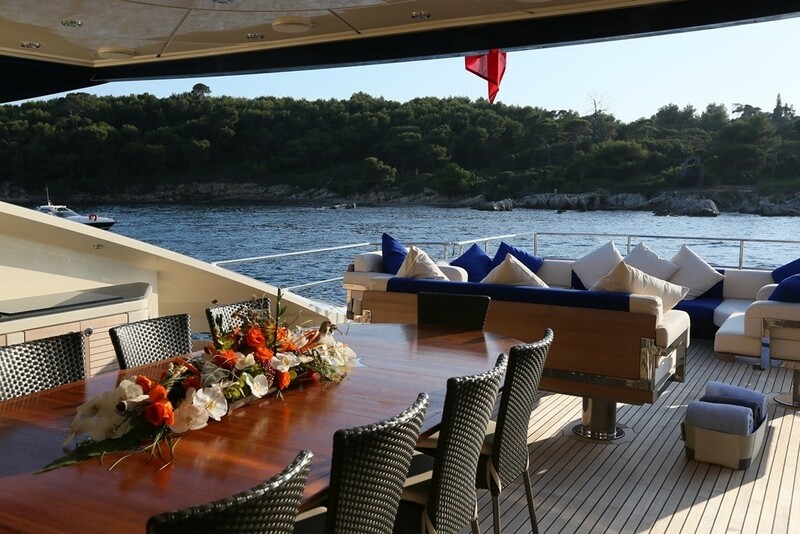 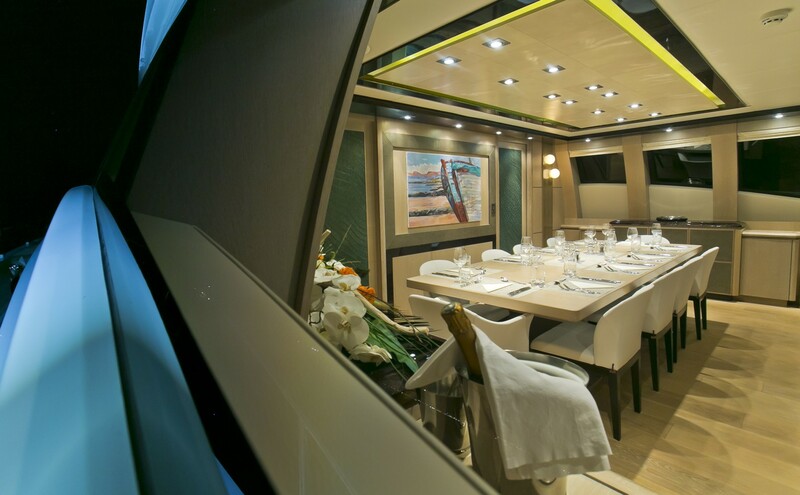 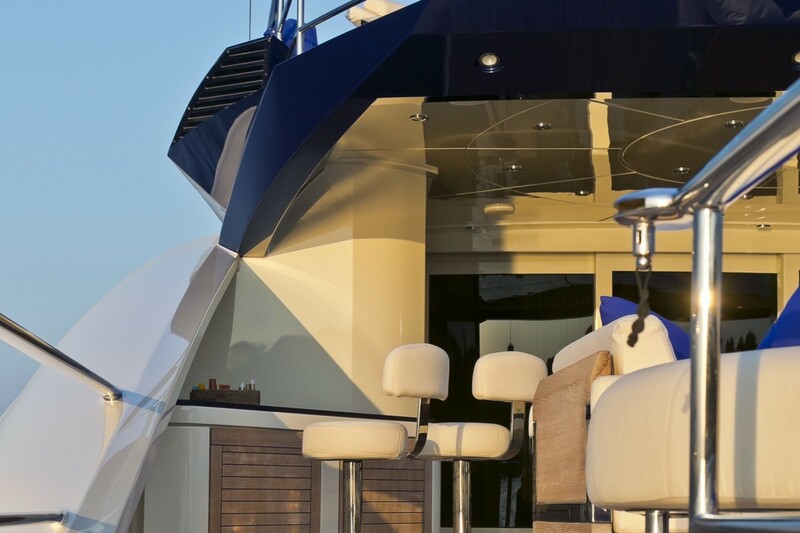 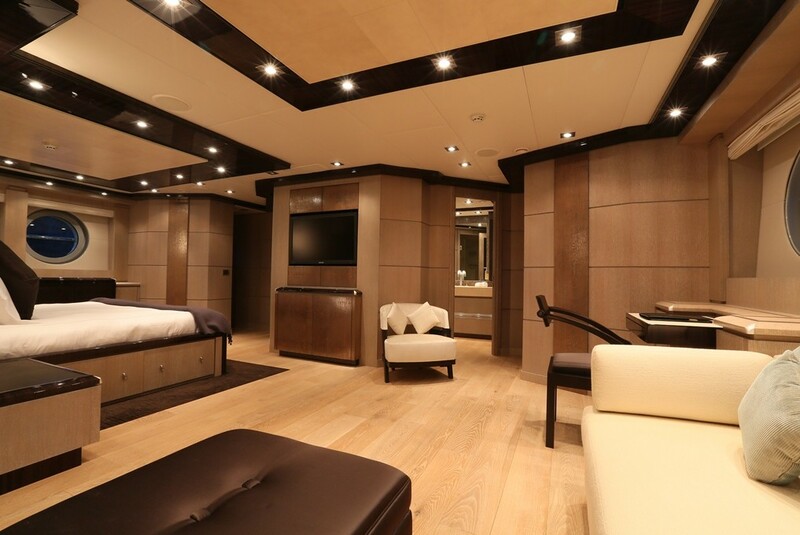 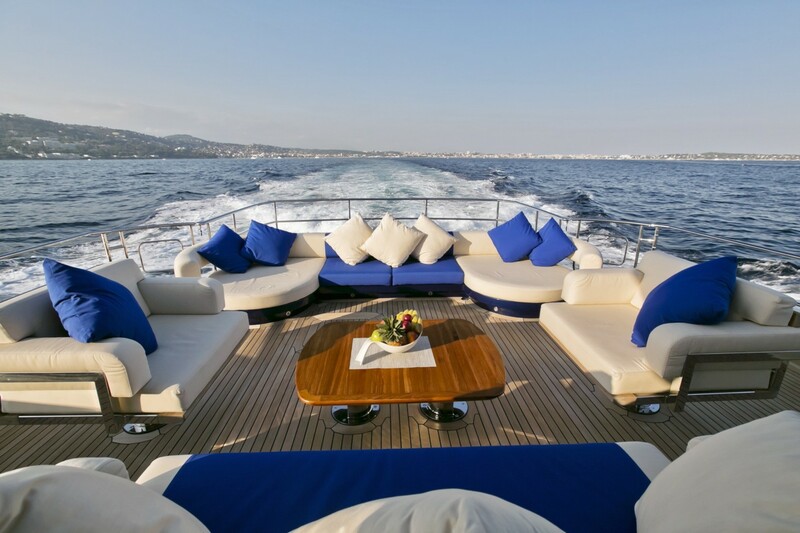 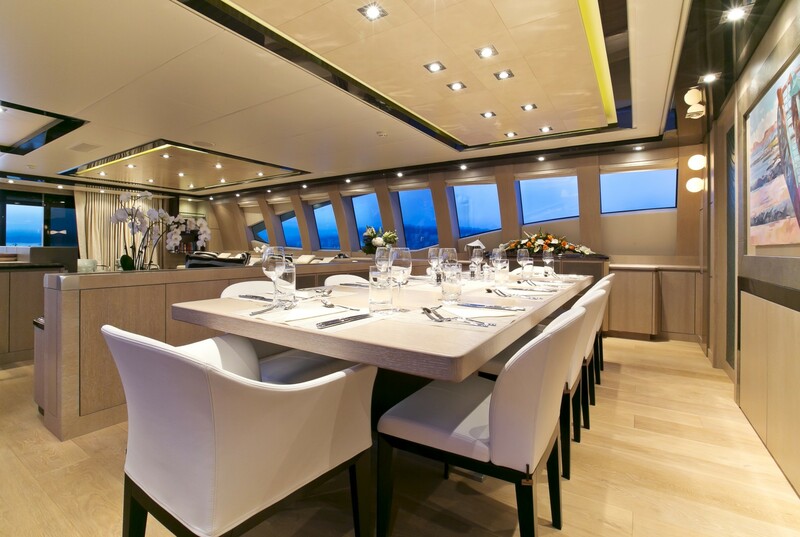 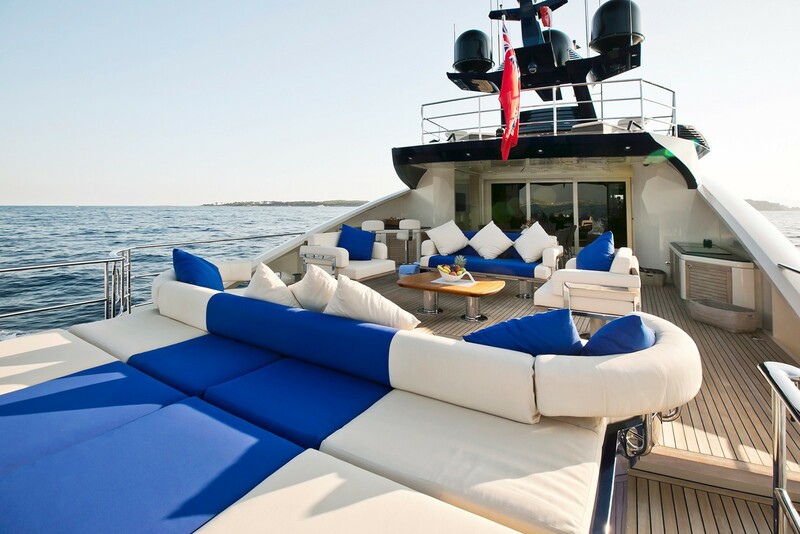 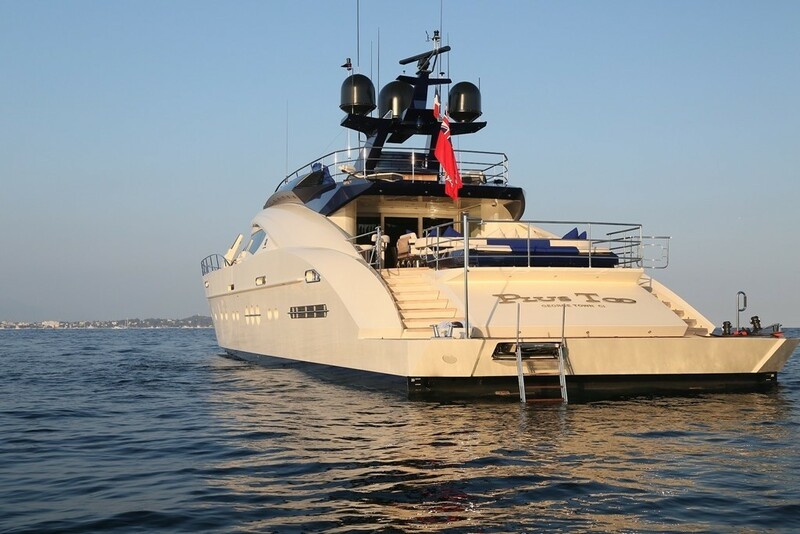 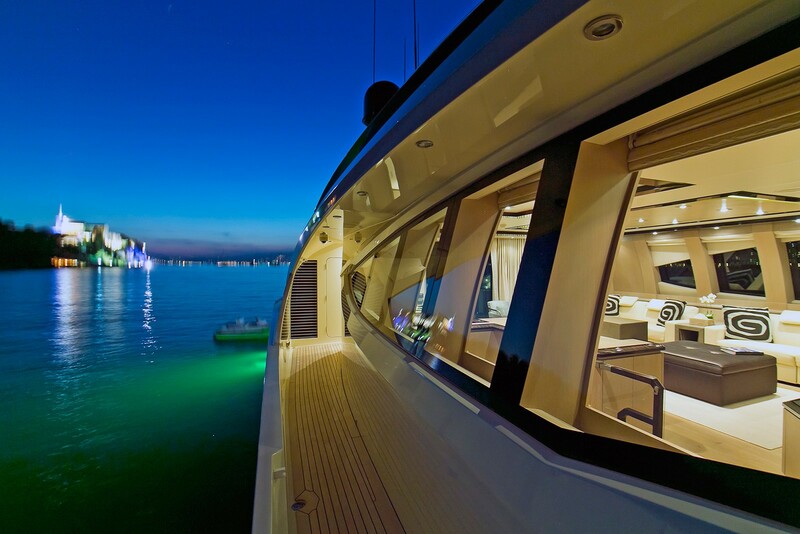 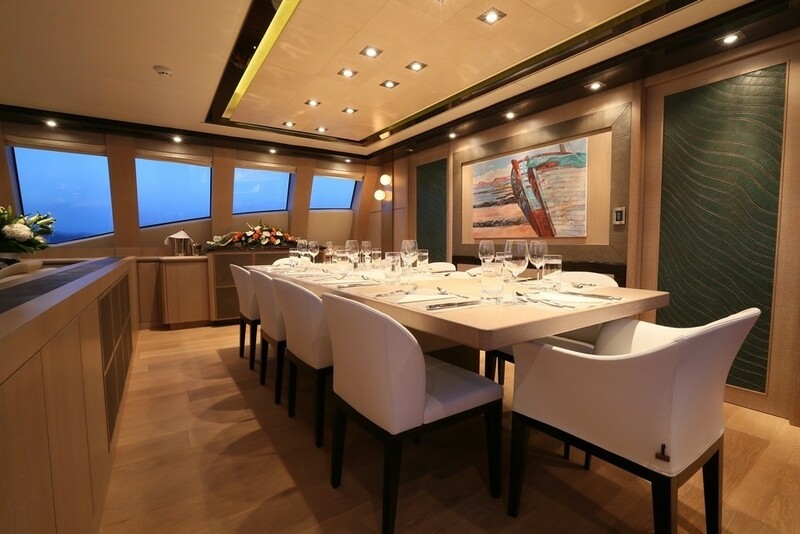 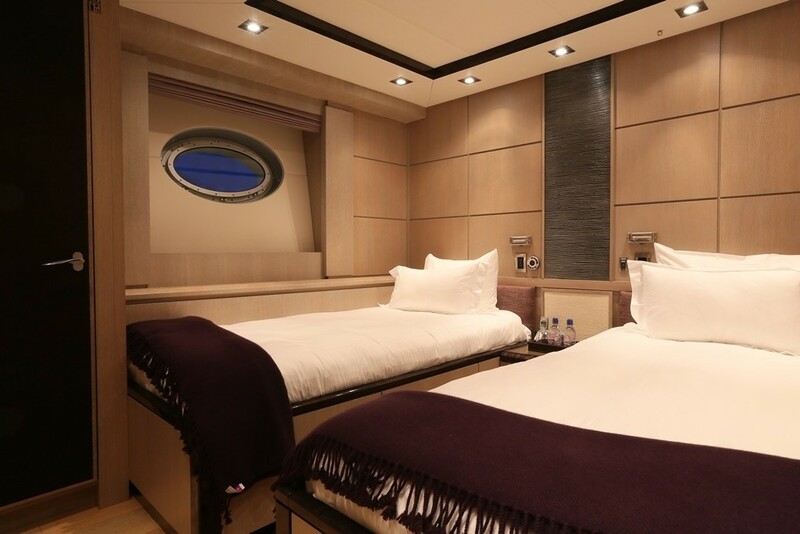 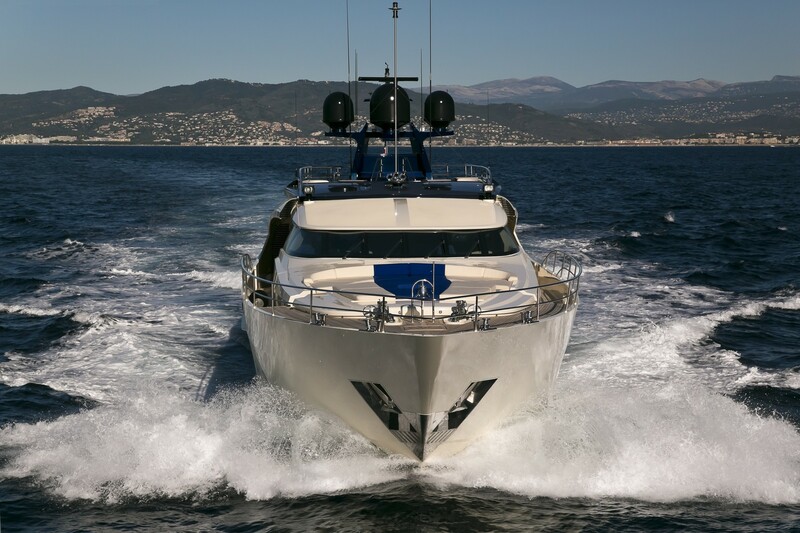 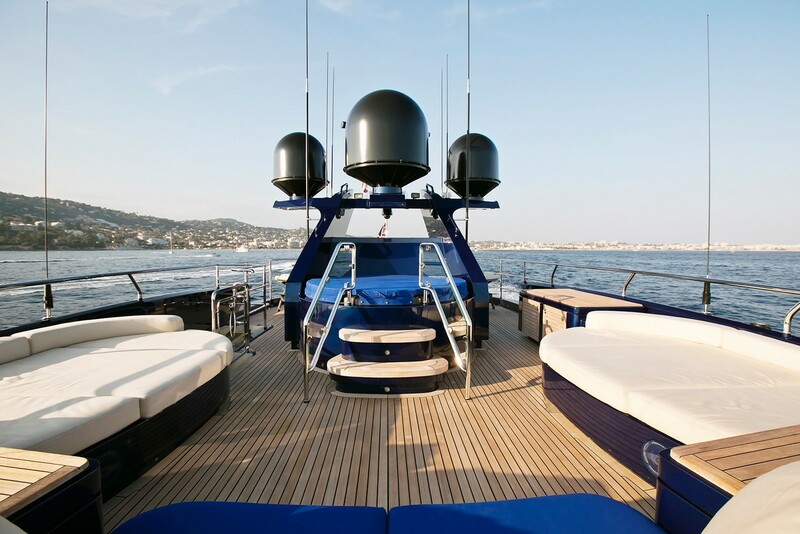 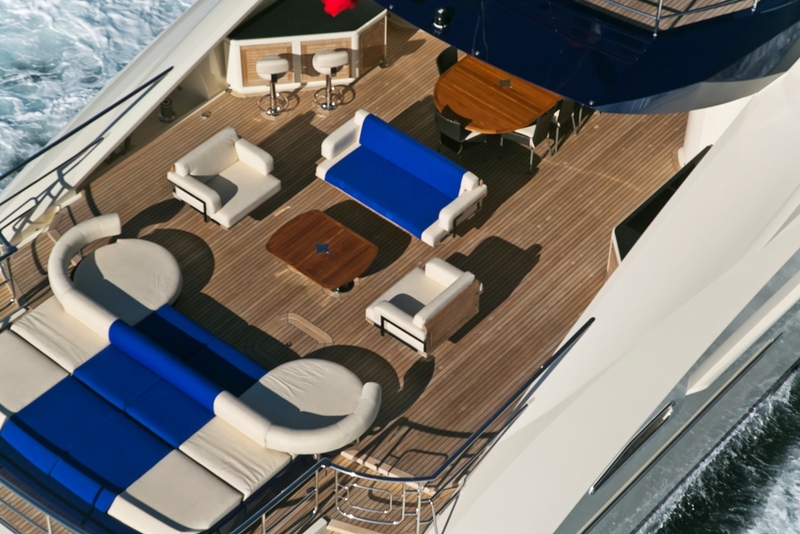 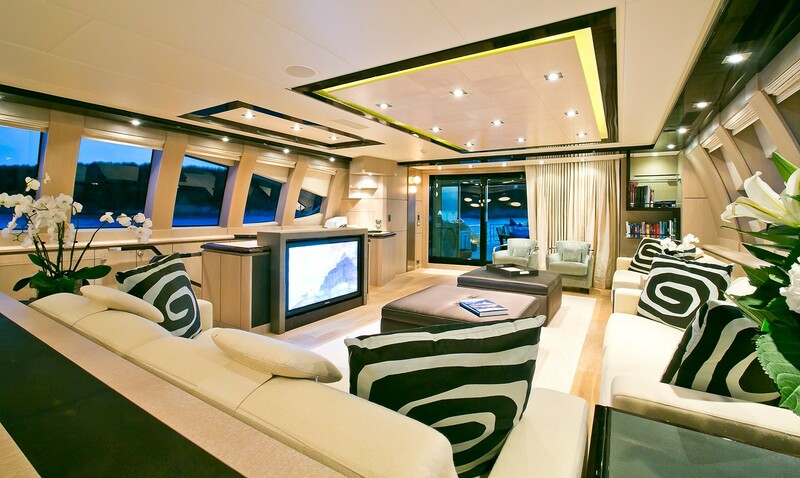 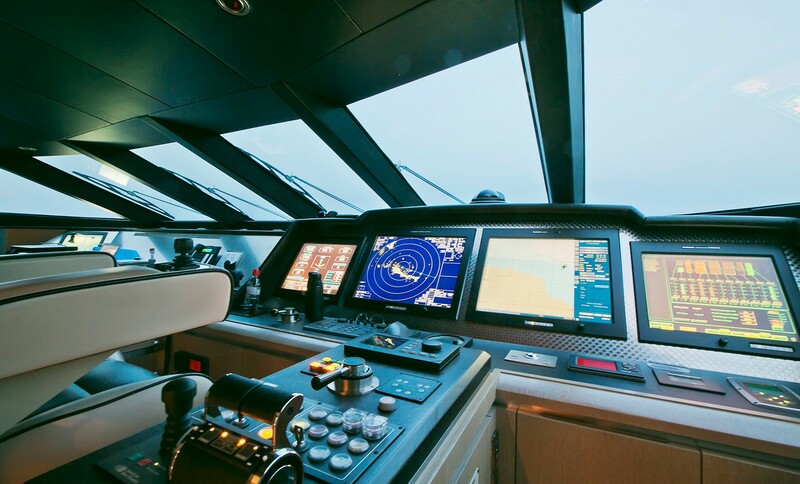 Aboard the PLUS TOO motor yacht, guests are accommodated in 5 deluxe cabins. 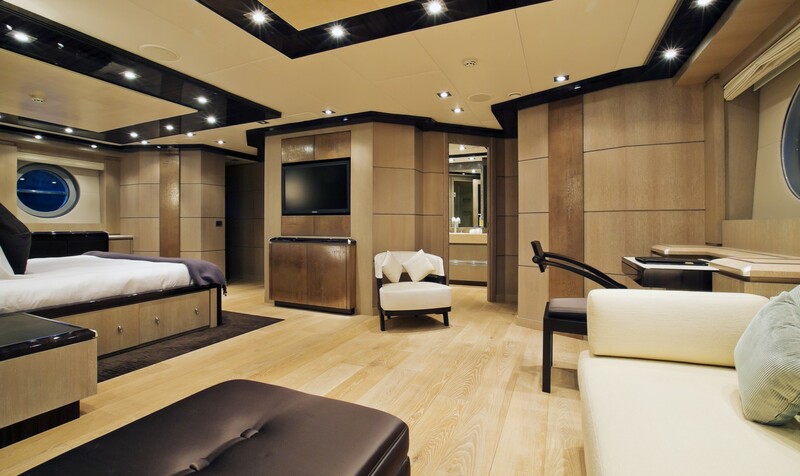 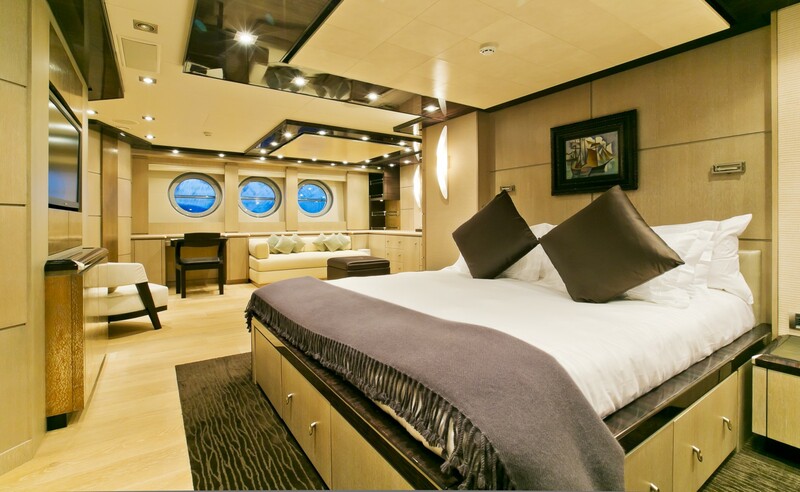 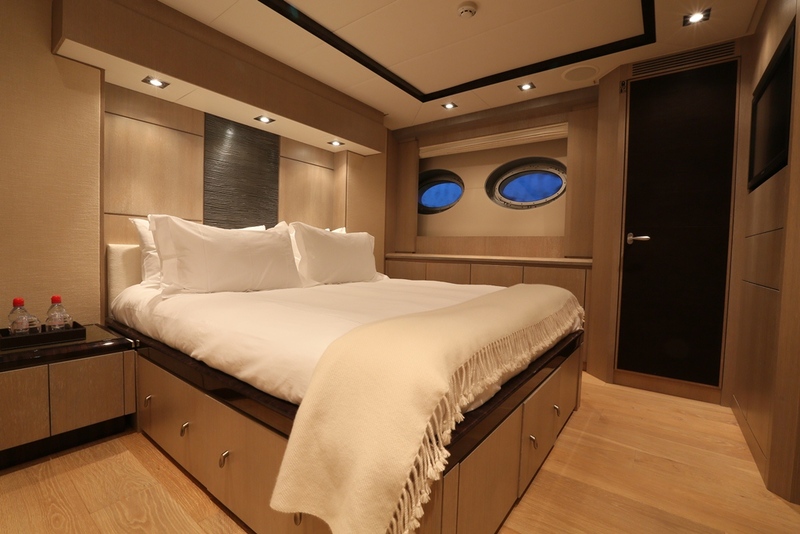 The master stateroom is aft amidships and full beam of the yacht featuring a double bed, sofa, vanity, ample storage and his and hers facilities. 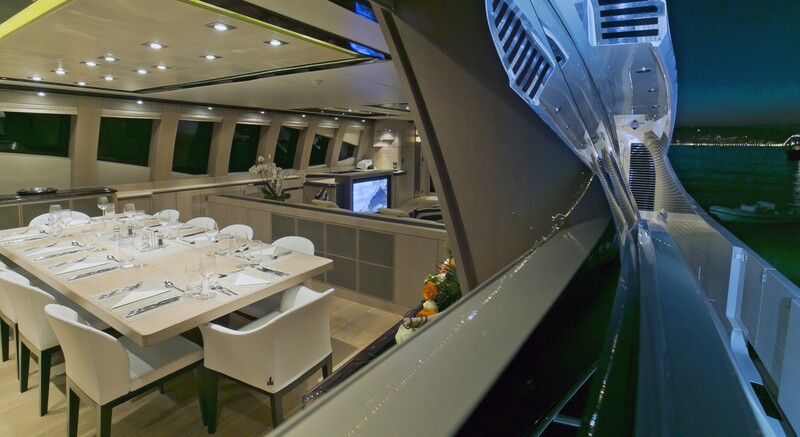 Forward of the master are 2 double cabins on port and starboard, further forward, 2 twin cabins are on port and starboard. 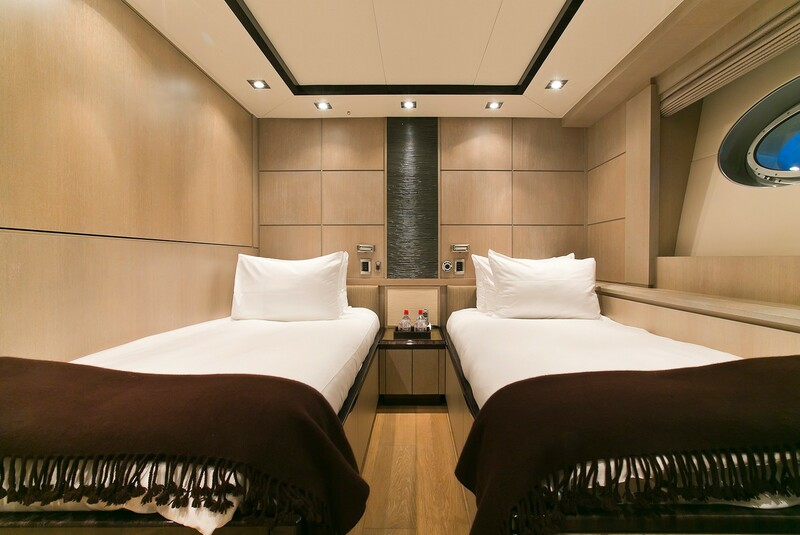 The 2 twin cabins do have an additional Pullman berths if required, suitable for children.